Quickly add various audio to your videos with powerful editing tools. People who love to travel tend to be very creative and to have vivid imaginations. If you are well-traveled, there is a good chance that you see life as a music video. You can probably imagine the music playing that would play in the background of every scene of the movie of your life. Unfortunately, copyright laws seriously restrict the use of copyrighted music in travel videos. Unless you are a professional filmmaker, you probably cannot afford to pay the licensing fees that it would cost to use your favorite chart-topping songs in your videos. Even though it would be awesome to set the video of your epic paintball battle in central Florida to the strains of "Gimme Shelter", you would need a Scorsese-sized budget to accomplish this feat legally. The good news for travel video makers is that there of plenty of sites out there that offer downloadable royalty-free music especially for travel videos and vlogs like yours. In this article, we will share with you some of the best places where you can download free msuic for your travel videos. Since you will combine your travel video footage and music together, you may need the help of video editing software. Here, we recommend you to try Wondershare Filmora9 video editing software because it allows you to make a video with lots fun. There is an Audio library where you can find different genres music such as tender, sentimental, rock, folk, and electronic. Besides, Filmora9 also features the audio editing feature which allows you to speed up or slow down the audio, or mix the audio as well. Download Filmora for free and be more creative with it. Despite its name, Incompetech does a great job of supplying royalty-free music for travel videos. It contains a feature that lets you choose a mood, and then it finds music to suit that mood. The genres on the site include the usual offerings, as well as polka, African, and even Silent Film score-type music. 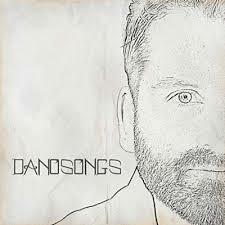 Dan-O is a prolific composer whose music is available for streaming. With just a click, you can license his music for use in your travel video. The musical styles he offers include classic rock, country, Gospel, R&B, and smooth jazz. 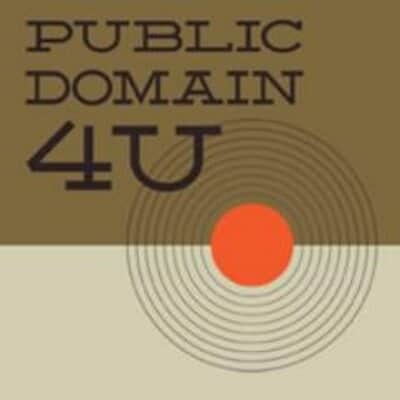 PublicDomain4U has done the hard work of finding which music is already in the public domain. Much of the music on this site is old, but you will be surprised at how many newer songs you can find. Moby Gratis is like a dream come true for non-profit filmmakers. That includes documentary filmmakers and people who just want to show their vacation videos to their friends. It contains an advanced search function, where you can search by instruments, moods, tempos, and other characteristics of the music you want for your film. Its huge library even contains music by well-known artists. For these vloggers who will share travel videos on YouTube, YouTube Audio library will be a good choice to select the royalty free music sound. In the classic Creator Studio panel, select Audio Library and then switch to Free music. You can then enter the keyword travel to search the free music that suitable for your travel vlog videos. You can also assign the genre, mood, instrument, duration and attribution as well to narrow down the desired travel music. For the detailed information about that, you can check How to Edit Audio in YouTube>>. The good news is that a lot of old music, including classical music is in the public domain. Individual recordings of classical works may be copyrighted, but it is easy to find royalty-free recordings of classical music in the public domain. Choosing music for your vacation video could be a great way for you to explore classical music that you have not heard before, but you can also choose among popular pieces of classical music that are already famous from movies, commercials, and cartoons. If you want something light-hearted and whimsical for the video of your kids catching fireflies in Ohio at sunset but you do not have the deep pockets required to upload "Fireflies" by Owl City, you can try "Eine kleine Nachtmusik" by Mozart. For the aforementioned central Florida paintball Ragnarok that warrants "Gimme Shelter", you could instead use the "O Fortuna" movement from Carl Orff's Carmina Burana or, for that matter, the "Dies irae" of Mozart's Requiem. If you want to show a retrospective of your life, leading up to your destination wedding, but you chose to spend your life's savings on a destination wedding instead of on licensing the rights to the overture of The Who's Tommy, you can use the overture of Henry Purcell's The Fairy Queen instead. While there are plenty of sites out there with original ragtime music to use as the soundtrack to your New Orleans vacation, why not use a public domain recording of a composition by Scott Joplin himself? Also check us out at https://www.amazingmusictracks.com. We have an extensive library with tracks in different styles and moods created by award winning composers. We also just launched a section with free music for your projects.